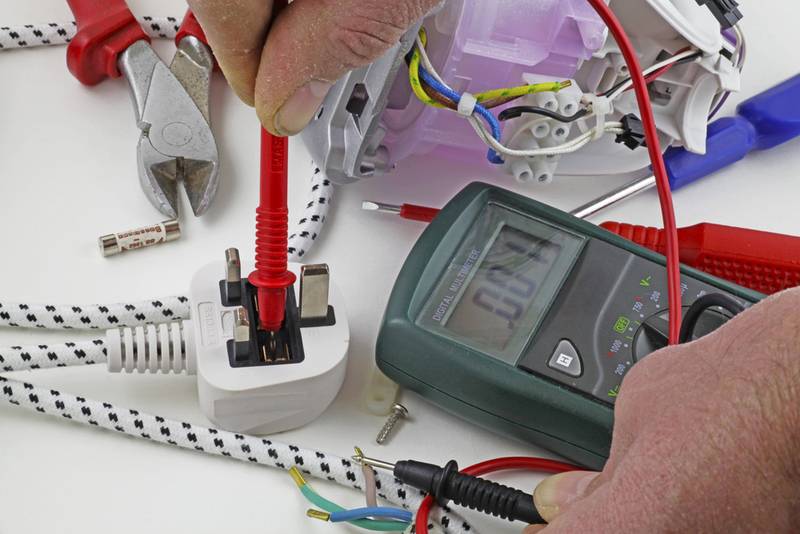 Test and Tag is a two part safety check of electrical appliances. The Test: A visual inspection of the appliance, the lead and plug to check for any signs of damage. Then the item is electrically tested with a portable device. 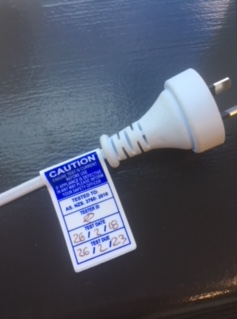 The Tag: Once the item has been tested and is found to be compliant it will be tagged to show the date of the test, person who tested it and when the next test it due. This photograph taken by a Fire Safe ANZ electrician conducting testing is a good example of why regular testing is needed. This power board lead had 240v live and exposed copper conductors and was being used to power the stores’ Point Of Sale. This created a serious electrical hazard that could have easily resulted in a life threating injury. The power board had been put in the backroom where stock had been piled on top of it causing the protective covering to wear away and expose the live cable. It was then placed back into service by another user who was not aware of its condition. 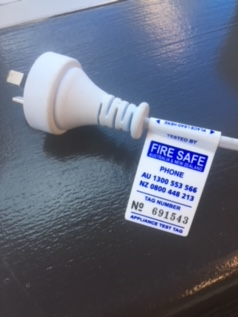 Because the retail store had a testing regime in place with Fire Safe ANZ, our electrician was able to identify this hazardous appliance and immediately removed it before any harm was caused. Do I have to “test and tag”? WH&S outlines the requirements for inspection and testing of electrical equipment, leaving the decision to conduct this testing to the persons undertaking or conducting business. Where testing is completed, Fire Safe ANZ inspects and test to AS/NZS 3760:2010. This is the nationally recognised standard for the inspection and testing of electrical equipment as it outlines both the testing protocol and intervals for testing. WH&S maintains that electrical equipment requires testing dependant on the environment it is operated within. The decision regarding the nature of the operating environment, and if equipment requires testing, is made by the persons conducting or undertaking the business. A risk assessment process should be followed to make and support this decision. WH&S maintains that equipment in a hostile environment should be regularly tested; a hostile environment is described as an area affected by moisture, heat, vibration, mechanical damage, corrosive chemicals or dust. For more information on needs and frequency of testing, please click here. Testing and Tagging.